What's Up With All These Leftover Pumpkins? 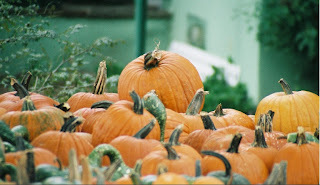 So Halloween is over and you've got a boatload of pumpkins left over? What are you going to do with them all. Well for starters you could hold your own pumpkin chuckin' contest in the neighborhood.... or maybe not. Don't tell them the folks at the Harvest Moon Bed and Breakfast Told you to do so. Or you could become a chef and do some really groovy things with them. Below are a couple of recipes to get you started... Be careful though, only use the ones that have not been carved and ones that are still fresh... Pumpkins are so good! And if your still into chuckin' pumpkins... I say go for it and send us a picture of your Pumpkin Chuckin' Contraption! 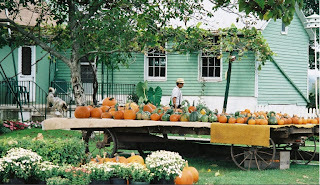 I grabbed this one from Back Road Bistros and Country Farm House Fare by Jane Sigal.... The author of my favorite french cookbook. Soupe Au Potiron In bourgeois homes throughout France, the evening soup was generally simple like this one from Brittany, in which pumpkin, onion, and potato are simmered in water and then pureed until smooth. But in these affluent kitchens, a dollop of thick cream as in this recipe or cream butter and egg yolks commonly enriched the soup base. Also the croutons replaced the bread crusts of peasant cooking. In a large saucepan, melt the butter over moderately low heat. Add the onion and cook, stirring, until translucent, 3 to 5 minutes. Add the pumpkin chunks, potato, water, and a little salt to the saucepan and bring to a boil. Lower the heat and simmer gently, uncovered, for 35 minutes. Meanwhile, if making croutons, cut the slices of bread into ¼ inch cubes. In a frying pan, heat the oil until hot but not smoking. Test the oil by dropping in a cube of bread. If it browns instantly, the oil is too hot; adjust the heat. Add the remaining bread without crowding the pan and brown the cubes on both sides, using wooden tongs and chopsticks to turn them. Drain on paper towels. To finish bring the soup to a boil. Add the crème fraiche or cream and pepper and taste for seasoning. Serve the soup, steaming hot, in a warmed tureen, soup plates, or bowls decorated with the herbs, if you like. Pass the optional croutons separately. This is one of my favorite recipes. A soup again, however it blends so while with the thyme cream fraiche. I think you'll like it. Roasted pumpkin and leek soup served with Parmesan croutons and thyme crème fraiche. A perfect way to begin a holiday party. Warm, steaming soup that reflects the season. Sauté pumpkin, garlic and leeks in butter till leeks are translucent and pumpkin has just a bit of color. And chicken stock and allow to simmer. Add thyme, salt and pepper and adjust to taste. Prepare croutons by mixing cubes with olive oil and Parmesan cheese. Bake in oven till golden brown at 350 degrees. Prepare a quick crème fraiche by mixing the sour cream and juice of half a lemon. Here is one more for those crisp late fall mornings.... this one you will love with a warm cup of coffee! Stir dry ingredients except for corn flakes in a bowl. Cut in the butter till it resembles coarse meal. Do not over mix. Stir in the corn flakes and crush a bit. Set at room temperature. In a large bowl of a mixer, beat sugar and butter. Add eggs one at a time until thoroughly incorporated. On low speed, add the dry ingredients in three additions alternating with the sour cream, beating only until incorporated after each addition. Remove bowl from mixer and slowly fold in the pumpkin. Turn into greased 13*9*2 pan and add topping. Bake for 30 to 35 minutes in a 350 degree preheated oven. Well, enough of me blabbering away, I thought it would be great to put together a "What's What" list of Lancaster County and the Holidays... A great way to discover Christmas in PA.
November 23 -- 26 - Let the Holidays begin here at the Harvest Moon with our Old Fashioned Thanksgiving Celebration. November 25 -- Black Friday in Lancaster... Shopping begins at Midnight at the outlets in Lancaster... so fill up on Turkey and Go Shopping... Don't forget to grab your discount for a savings book. All throughout the month don't forget about the American Music Theater and Sight and Sound; both have wonderful Holiday Events. Of course I am still here; what would make you think otherwise? Just busy! Trying to fit all into the schedule here at the Harvest Moon Bed and Breakfast. It has been a fun summer, yet all good things come to an end... sadly, the kids are back in school... And I am reminded of that STAPLES commercial where the father is dancing through the aisles to, "It's the Most Wonderful Time of the Year" ... that would be me! So in all seriousness, It really is my most favorite time... 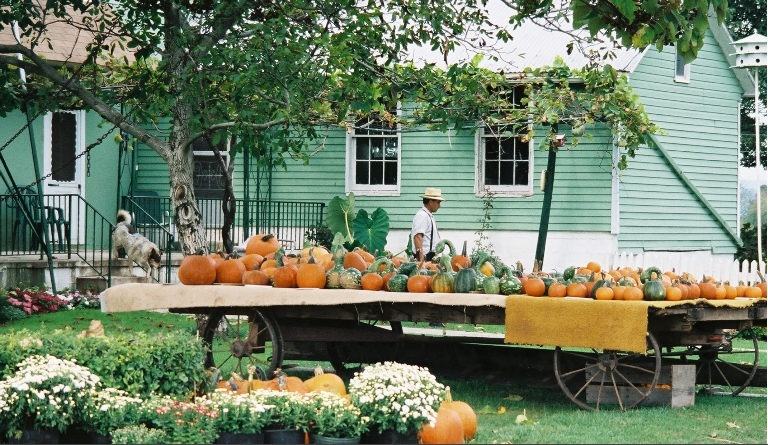 The time of harvest, the time of changing seasons, the time of great color and the time of family gatherings. These next four months will bring us around huddled with one another as we watch the football games and listen to the marching band at the school. My oldest will tell me that before it gets to late we have to go pick out a Christmas Tree... or there will be no good ones to choose from. It will be a time where we sit at the table again... carving pumpkins and trying for the perfect Jack-O-Lantern. 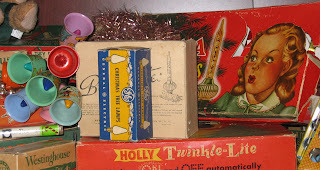 And as we bend the corner from fall to winter, the holidays are upon us with the thrill of another Christmas, (and another year to decorate the house once again with antiques of long ago). Christmas is really that special here in Lancaster County... Our bed and breakfast is a place to begin your hunt for the perfect special gift for someone...And the food... you know I am all about the food here... Roast Turkey and Pork, with all the trimmings and trappings, Christmas Cookies and of course egg nog! I know... it's still August, however I get a little excited... maybe you can tell... but hey that's me! So, when the thermostat reaches above 90 degrees, my circuits start frying a bit. I know, you all see me as cool, calm and collected, however, deep inside stands a crazy man that curses at the heat and humidity. You will never hear me complain in the winter time about how cold it is. I may acknowledge that it is cold, however I never complain about it. 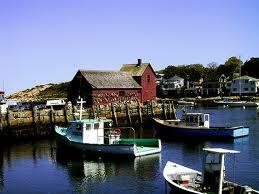 So, although Lancaster is beautiful and like no other place in the world, so is my old hometown of Rockport MA. The sights and sounds of the Atlantic Ocean are what I miss. And although the water is still so cold up there now, it was enough just to wade in the salt water while walking through the sand and a warm summer day. So just as special as the PA Dutch food is here in Lancaster, the coastal New England food was a treat up in Rockport. As an innkeeper here at the Harvest Moon Bed and Breakfast in Lancaster, I find myself always preparing for special culinary weekends or a specific culinary tour. Some of our cooking weekends revolve around culinary demos that showcase exactly how to prepare certain ingredients. I always try to stay away from seafood for I understand that although good, nothing is as fresh as right out of the ocean! So call me spoiled, however I am all for fresh seafood.... I mean fresh off the boat seafood. Like none other than what you can get from a New England fish shack on the beach. It really is that good! Oh and by the way, I thought I would present a recipe for you. How likes Halibut? Well, it was always this time of year, when the fishermen would come ashore and offer only the freshest of Halibut caught just moments before. You can always tell fresh fish for it does not smell like fish... it just smells like the ocean. The skin when pressed, bounces back and does not stay in place. 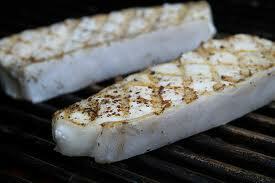 And the color of fresh halibut is this absolutely beautiful pearly white with red/pink veins throughout. Below is a recipe that I had on the menu while working in Rockport. Enjoy for it truly was a great place to be, and damn do I miss the ocean! Then add white wine and reduce. At end, add a bit more butter, melt and add fresh chopped dill. Place fish on plate and serve with sauce on top. OK.... So I manipulated that famous quote from Louis Pasteur... just a bit; go ahead and slap my hand if you want, I just really liked what he had to say. So now that were all good, let me explain. 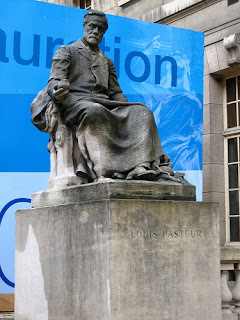 Well, really no biggie, really nothing to explain, I just never realized that Louis Pasteur had a connection to wine. But for sure he did. And after doing a bit of research here as I sit in my office at the bed and breakfast on this premature summer day, (it's only the last day of May and the thermometers have all ready breached 90) I find that good ole' Louis was really trying to save the reputation of wine and beer in France when he mastered the first pasteurization experiment. Louis put together his finding in a book called Etudes sur le vin In this book Louis found that the open wood cask in which wine was decanted allowed the slow penetration of atmospheric oxygen through the porous holes. His book explained what the process was to control the process. So thanks to Louis, we here in Lancaster County can enjoy not just a cool glass of milk, however our growing wine Industry is really beginning to shine. With wineries like Tamenend, (where Dr. Richard Carey continues the science behind wine) or Waltz's (where Jan and Kim have mastered the art), you are never far from enjoying some of the best Gosh Darn Nectar around. So what is the connection to Lancaster County, well not much at all unless you think that the dairy industry is important here. 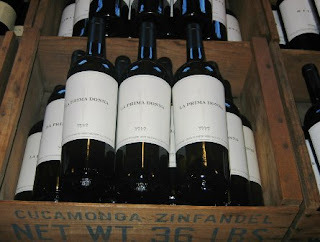 Oh and of course our great wines! And yes, I'll concede with Louis, and twist his words around just a tiny bit.... The Flavor of Wine "in Lancaster County" is Like Delicate Poetry! I'll enjoy a sonnet this evening! As I travel the culinary world of late, I have noticed a change in the landscape here in Lancaster County. Local restaurants have begun catering to the needs of those with Celiac Disease. 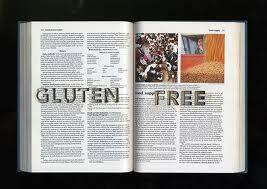 Even here at the Bed and Breakfast, we have noticed a trend towards the gluten free diet. And to accommodate these special needs, restaurants all over Lancaster have begun to offer a menu for those who require a gluten free diet. One of my favorites is Lily's on Main. Steve the owner/chef has become known in our area to challenge his staff with creative offerings for everyone who enters the restaurant, including those who are gluten intolerant. One of our pizza places in town is now offering a gluten free pizza as well. Carini's Italian Restaurant near by has had there Gluten Free Pizza on the menu since last year. In New Holland a new Health Food Store has just opened and caters to many needs including dairy free, gluten free, organic and other forms of healthy lifestyle foods. 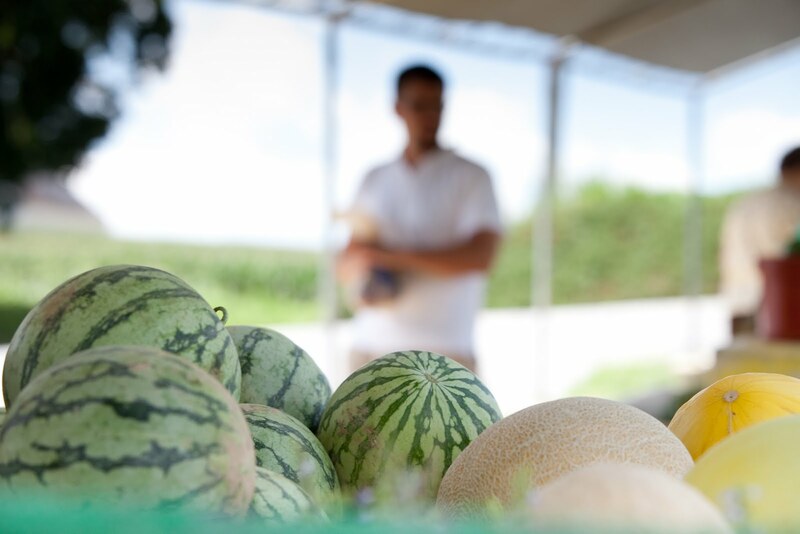 But minutes away, you will be sure to have all kinds of fresh produce, cheese, and meats, many of them being local and all being healthy. We here at the Harvest Moon Bed and Breakfast continue to offer to our guest a wide variety of gluten free breakfasts. We are always pushing the envelope with our breakfasts here, whether gluten free or not, I need the challenge to continue offering unique and tasty morning meals. Be sure to let us know what your needs are and we will be sure to accommodate them. You know.... They say Lancaster County is the Garden Spot of the World. I use to think, "how self boasting to claim yourself the garden spot of the "World". Such a self-proclaimed remark should have something to back it up I thought. And me and my city-boy lifestyle, having grown in the suburbs of both Baltimore and Boston did not at first look beyond the Giant Grocery Store. Lancaster County... A great place to live! However, being the Innkeeper here at the Harvest Moon Bed and Breakfast, I've discovered soon after opening our doors that Lancaster County's self proclamation may have some validity after all. You see, cooking breakfast for our guest in the morning, I am always looking for fresh produce to serve. 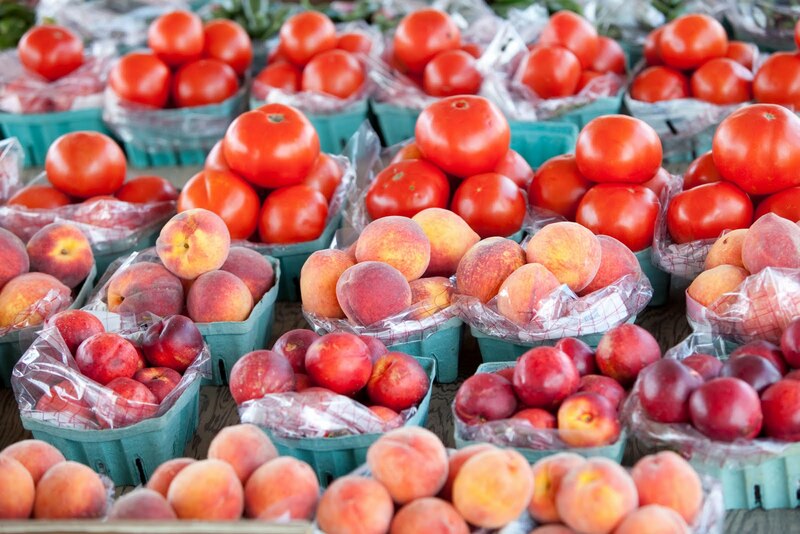 Nothing better than local fresh picked spinach or asparagus in the spring. Or what about garden ripe tomatoes of every color to make fresh chutneys or accompaniments like fried tomatoes. And let's not forget about the fall! The choices of fresh apples and pears locally grown.... let's just say the offerings are dizzying. So cooking breakfast one day, I discovered that I was short of fruit and I needed spinach. What was an innkeeper to do? Well, as always go to Giant! That would solve the problem. Being a city boy, if you can't find it there, you don't need it. However on the way, I soon discovered that I was gonna be really late for breakfast if I drove all the way down there. What was I to do? Help!!! 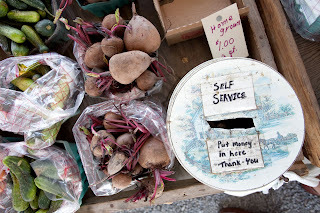 As I started to fret, I pulled over on the side of the road at this little farm stand to collect my thoughts. Nervous as all get up, I got out of the car and looked at the farm stand for assistance to ask if they knew of a closer grocery store, being new in the area there may just be something a bit closer. Then before the words could come out of my mount, I noticed that they had fresh berries, melon and hand picked spinach. Lights were going on all over the place in my head. 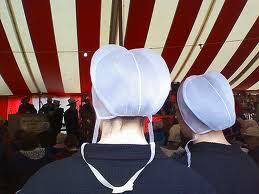 My menu was decided and I placed my order to the young Amish man behind the counter. Certainly though this was going to cost me and all I had in cash was a five dollar bill. Surely a bag of spinach for the egg dish, a fresh rhubarb and some wonderful strawberries were going to be more than I bargained for. Ka-ching, the total was 4.25... Really, I $till have .75 cents to spend? Wow... It looks so good! So that is when I began to realize that this claim of being the "Garden Spot" has more validity than I could ever understand. It really is that important to our area how we sustain ourselves with the local fare. 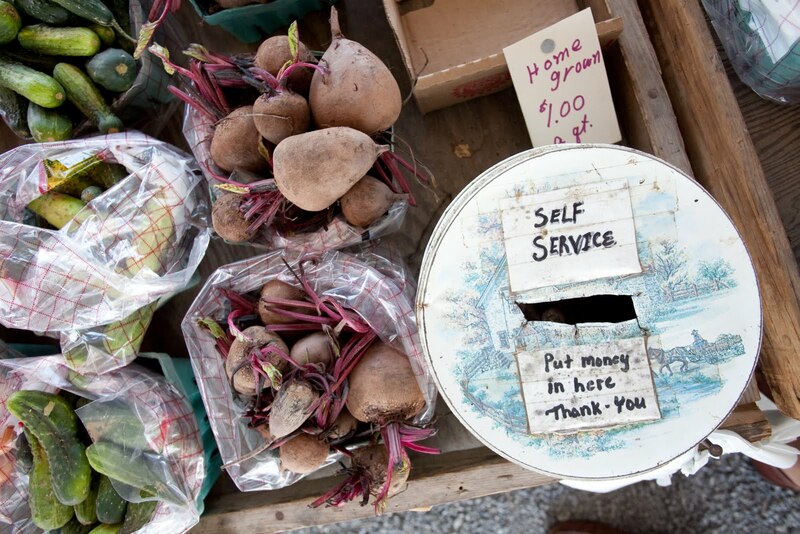 With things like Lancaster County Farmland Trust, PA Preferred, the outreach campaign of Buy Fresh - Buy Local, local farm stands/markets and local co-ops dotted all over the place, it is easy to see that farming is paramount to Lancaster. 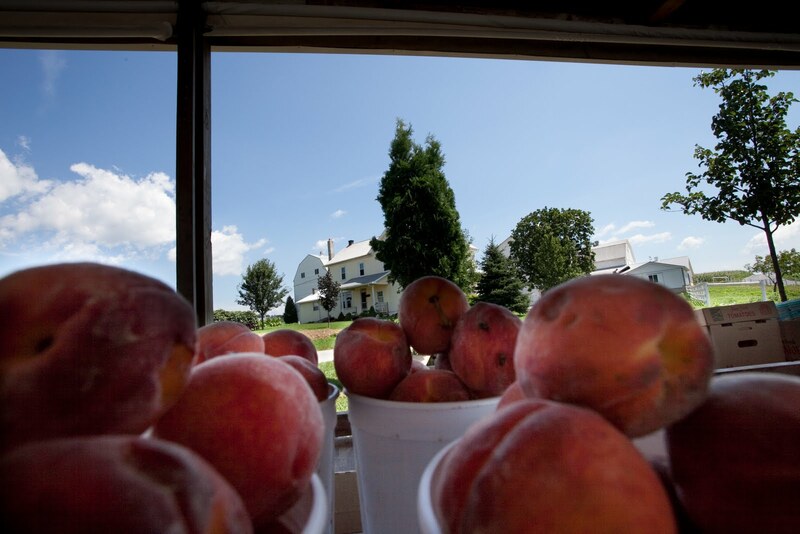 And tourists hoping on the rails of Culinary and Agri-tourism are beginning to realize the bounty of freshness that Lancaster County has become known for. I like to call it Lancaster Fresh. Lancaster County is ripe with opportunity for just about any epicurean to immerse themselves into a culinary weekend filled with great knowledge, great fun and a super tasty experience. You'll clearly see why I'm on board with that self proclamation. It really is the truth! So when I start doing research for places to go and things to do, it usually leads me to food. Doing research on Strasburg PA, I find that the Iron Horse Inn is a pretty darn good place. Great Food, Great Service and an over the top Beer List. One of my first places when traveling to Strasburg. However, most recently, I was poking around on the internet and found that the Strasburg Railroad was hosting a "Train Robbery"! How unique! I am immediately intrigued by this. What's more, when the robbers "take" your money, it all goes towards a charity. This is for sure on my list of cool things to do; with three of them planned this year, the first one is coming up in a few short weeks, April 10th 2011. The Harvest Moon Bed and Breakfast can help you with all the arrangements. Just as certain as the sun comes up, each year...right around this time or exactly the Tuesday before Ash Wednesday, the locals in Lancaster County have come to know Fasnachts. 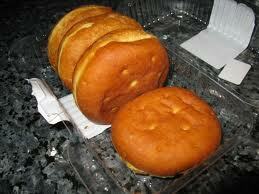 Traditionally this PA Dutch German Treat is a potato doughnut sprinkled with a bit of sugar. So whether you call it Shrove Tuesday, Fasnacht Day or Fat Tuesday, the treats do have a bit of history. So how do we here at the Harvest Moon Bed and Breakfast celebrate... well, I have to admit, it may be that we just purchase a few fasnachts and put them on the table for all to enjoy. Here we have never really celebrated. Now where my wife comes from, they would celebrate Fasching (Mardi Gras) each year as they do in New Orleans. We just have not carried the tradition over here. I think though that a trip to New Orleans would be in order.... and besides they have great Cajun food that I must check out. So as the bakers get ready for the onslaught tomorrow, I thought it may be a good time to showcase some Great PA Dutch Fasnacht Recipes. 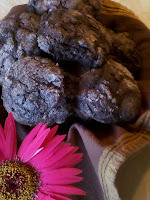 I have found a recipe site from Pam Weidle's web page. Pam has several different recipes to choose from. Pam Thank you for such a great treat and so many options!! Hello everyone... Was it not enough that we had all those great holidays back in February National Wine Day, National Kahlua Day and so on... Now we have a holiday just for heated spiced wine; NATIONAL MULLED WINE DAY. YIPPEE! March 3rd, 2011 has been declared National Mulled Wine Day. Perfect time of year for this wonderful concoction. It's like Christmas coming in the middle of winter; minus all the hoopla. 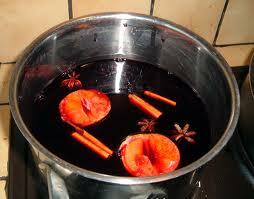 I could not be more excited about the prospect of a day solely dedicated to mulled wine. I think I will need to pull myself together, gather my favorite wine for mulling and get the stove-top ready! The smell in the house is gonna' be awesome tomorrow. Hey there, wanna join me? Here's a recipe for you to enjoy. Or just come on by the inn.... the wine will be mulling all day. 1/2 orange washed and cut into small wedges. 3. drink passionately yet be responsible! As we travel new frontiers. Is what I write of. This lifestyle they call "Dutch"
That all could not doubt! Gave an extra bar of soap! That his bidding took no flight! Is a brand new box spring! So my day... oh how nice! I've trudged through the dirt! And stained my polo shirt! 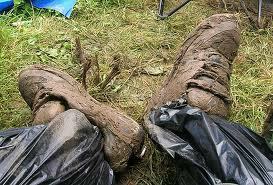 A "Mud Sale" to see? Yet it's only quarter to three!